Ace shooter Jitu Rai was conferred with the prestigious Rajiv Gandhi Khel Ratna Award today. 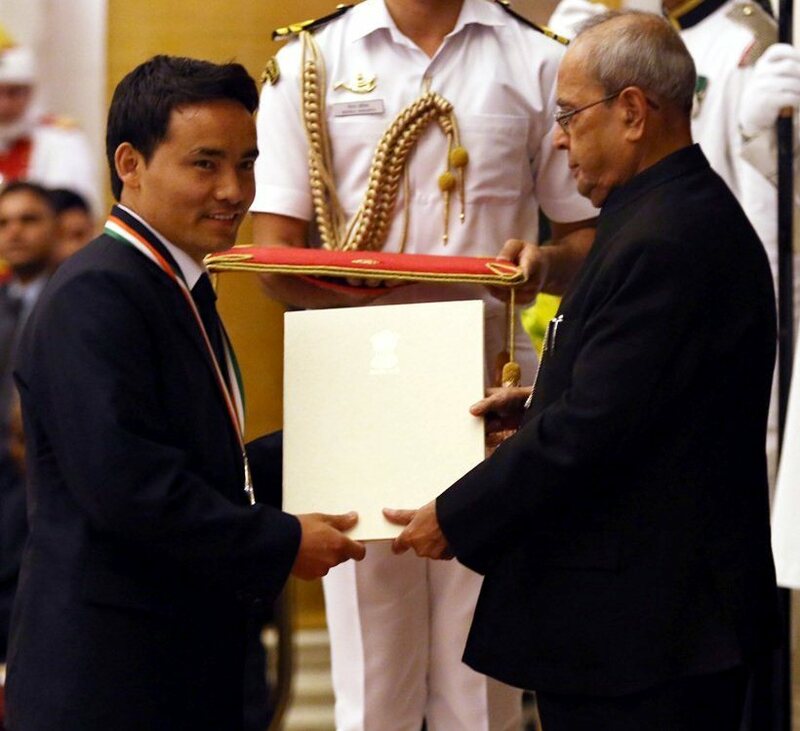 The 29-year-old Army shooter received the award from the President of India Pranab Mukherjee in a glittering ceremony held at the Rashtrapati Bhawan on the occasion of National Sports Day. Jitu who became the 8th shooter to receive the Khel Ratna said that the prestigious award will motivate him to scale greater heights. “I feel extremely proud to have been honoured with the prestigious award. This will certainly motivate me to perform better in the upcoming tournaments,” said Jitu Rai. Jitu, currently ranked third in the world in the Men’s 10m Air Pistol, was one of two Indian shooters to make the final of their respective events in Rio, the other being Abhinav Bindra. “I was performing well till the Rio Olympics, but unfortunately I couldn’t replicate my form in the final despite putting up a good show in the qualifying round,” added Jitu while reflecting on his performance in the quadrennial event. The Khel Ratna is given for the spectacular and most outstanding performance in the field of sports by a sportsperson over a period of four years. However, the government decided to give away the award to four athletes (PV Sindhu, Sakshi Malik, Dipa Karmakar and Jitu) for the first time. Jitu won a silver medal at the ISSF World Shooting Championships along with three World Cup medals. He also won gold medals in the 2014 Commonwealth Games and at the Incheon Asian Games in the same year. This year Jitu won a silver medal in the men’s air pistol at the ISSF World Cup in Baku, Azerbaijan and a gold medal at the ISSF World Cup in Bangkok in 50m pistol. List of shooters who have been awarded with the Rajiv Gandhi Khel Ratna.